Information Technology and Security professionals depend on BIO-key for the rapid delivery of secure, reliable information. From police officers on patrol to secure web-based transactions, our public safety and fingerprint biometric solutions save time, save money... and save lives. Createch's mission is to support the blood banking and related industries by effectively analyzing, documenting, and communicating complex information. Donor-ID™ in support of their healthcare systems that include software, supplies, hardware and service products. HemoCue AB develops, produces, and markets medical diagnostic products for point-of-care testing. 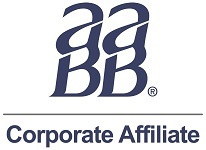 Healthcare-ID (H-ID) is proud to be a corporate affiliate member of the AABB. H-ID has maintained an ongoing presence at the annual AABB convention and exposition since the mid-1990's. The AABB promotes high standards amongst community blood banks and hospital transfusion centers within the USA and throughout the global blood banking community. It is the aim of H-ID to provide customers with software solutions that assist them in meeting or exceeding these standards. Fenwal, Inc. is a global medical technology company focused on improving blood collection, filtration, separation, storage and transfusion to ensure the availability, safety and effectiveness of blood components. Fenwal is unique in the depth of its experience and commitment to transfusion medicine. America's Blood Centers' member organizations make up North America's largest network of non-profit community blood centers, which operate more than 600 blood donation collection sites. Together the network provides half the U.S. blood supply to over 3,500 hospitals and healthcare facilities. Applied Science is the leading medical device manufacturer of the HemoFlow 400 series of blood collection monitors and mixers. Along with our data management tools, we are proving a reduction in units lost, an overall increase in acceptable whole blood donations and streamlined processing. OrSense is a medical device company developing and marketing non-invasive monitoring systems for measurement of Hemoglobin. OrSense NBM200 system is successfully installed in professional healthcare markets worldwide. OrSense's products are based on a proprietary Occlusion Spectroscopy technology.